Product Description: Cal Flame Bottle Opener With Catcher - BBQ07901. Add to the convenience of your outdoor kitchen with the Cal Flame Bottle Opener With Catcher. 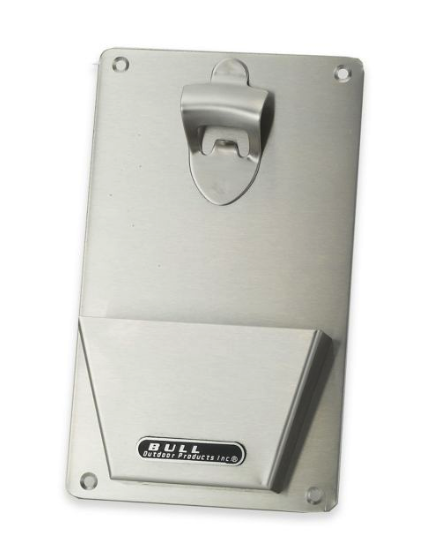 Featuring 403 grade stainless steel construction, this bottle opener can be attached anywhere on an outdoor kitchen island for an easy way to open bottles and dispose of caps in one motion.